Welcome to the World of SEACRET! For centuries, the Dead Sea has been a prime destination for those wishing to renew and extend life. Cleopatra was known to nurture her beauty there from time to time, and now you can do the same. Allow SEACRET to bring you the rejuvenating magic of the Dead Sea with its Dead Sea Spa products. SEACRET Dead Sea Beauty Products uses the finest ingredients to compliment Dead Sea Minerals, Mud and Salt, so your skin receives the maximum benefits from the Dead Sea. Dead Sea Spa products are renowned for their properties, which help hydrate and nourish facial skin, making you look younger and feel amazing. Creating your own Dead Sea skin care routine has never been easier. Treat yourself with Dead Sea Spa products to create a Dead Sea skin care routine that will allow you to have soft and younger looking skin. In the past, Dead Sea skin care routines have been a well guarded secret, but now it is available to all who want to take advantage of those amazing dead sea products and enjoy our amazing dead sea salt. 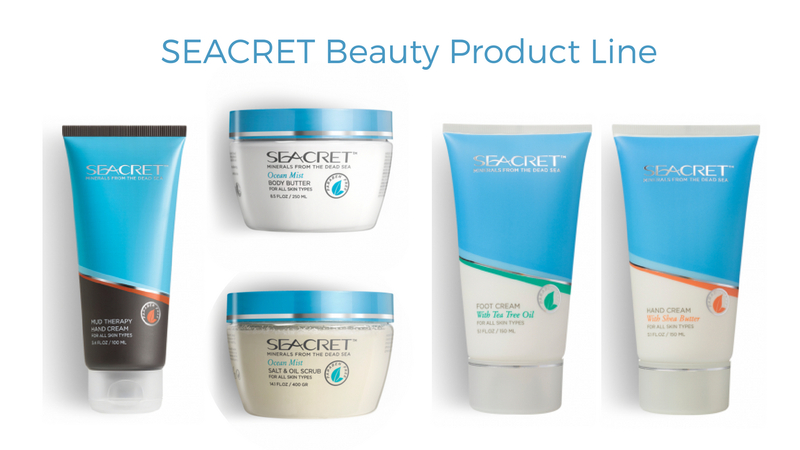 Begin looking and feeling your best today with SEACRET Dead Sea Beauty Products! Our Dead Sea Spa products have been available on the display shelves now. Rejuvenate your skin in the comfort of your home with SEACRET Dead Sea skin care products, the best, most concentrated combination of Dead Sea Products in the market today! Branch 1: City Shop, 80 Bathurst Street, Hobart, Tas 7000 (Opposite Anytime Fitness). Branch 2: Moonah Shop, 1/113 Main Road, Moonah, Tas 7009 (opposite Woolworth Moonah).